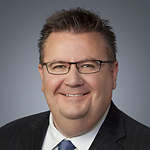 Board of Directors - CWC Energy Services Corp.
Jim is a Managing Partner, Private Equity and Chief Investment Officer, Energy for Brookfield Asset Management Inc. 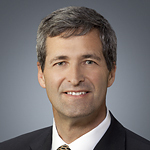 He opened Brookfield's Calgary office in June 2003 and has held many directorships and senior executive positions, primarily in the resource sector over the past 28 years. He is the former Chief Financial Officer of Bushmills Energy and the Causeway Energy Group of Companies. Jim earned his Chartered Professional Accountant designation from PricewaterhouseCoopers in Toronto. 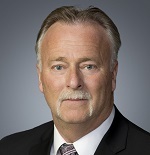 Gary is President of BTM Corporate Advisory Inc., an advisory firm formed in 2005 that provides corporate restructuring and consulting services to privately-owned companies in Canada and the United States. 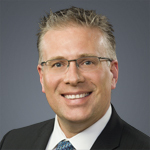 Prior to 2005, Gary was a corporate recovery and audit partner with KPMG Canada where he served clients in the high technology, financial services, real estate development and energy industries. 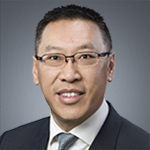 He served on KPMG Canada's Board of Directors for five years and currently serves on the Boards of Critical Control Solutions Energy Services Corp., Mosaic Capital Corporation and several private companies. Gary is a graduate of the University of Saskatchewan, a Chartered Professional Accountant and a member of the Canadian Institute of Corporate Directors. Wade is the former President & Chief Executive Officer of Ironhand Drilling Inc. prior to its sale to CWC in May 2014. From 2003 to 2005, Wade was the President of McGowan Consulting Corp. where he provided engineering and consulting services in the areas of drilling, completion, reserves and economics. From 1996 to 2003, Wade co-founded and presided over three oil and gas exploration companies: Catalina Energy, Causeway Energy and Bushmills Energy. He also worked as a petroleum engineer for Northstar Energy, Enron Oil and Gas and Canada Northwest Energy. Wade holds a Bachelor of Science in Petroleum Engineering from the University of Alberta. He is a member of the Association of Professional Engineers and Geoscientists of Alberta ("APEGA"). Daryl is an independent businessman with over 28 years of business and investment experience in oilfield services, transportation, farming and real estate. From 1990 to 2006, Daryl successfully owned and operated Austin's Transport 1990 Ltd., a heavy hauling transportation company with 30 rig moving trucks servicing the oil and gas industry. Austin's Transport was sold in 2006 to a public company. In addition to establishing Austin's Transport, Daryl owned and operated a downhole cementing company as well as a tank rental company both of which were subsequently sold in 2002 and 2008 respectively. Daryl is currently active in helping establish private oil and gas related businesses in both a direct investment and advisory services capacity. Dean is a Chartered Professional Accountant with over 18 years of accounting, investment management and energy industry experience. He is currently the Vice President, Energy with Brookfield Asset Management Inc. (“Brookfield”) focusing on energy related investments. 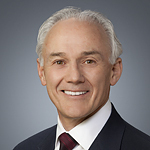 Prior to joining Brookfield in 2012, Dean was the Vice President, Finance and Chief Financial Officer of several oil and gas production companies in Western Canada. Prior thereto, he was with Collins Barrow Chartered Accountants where he provided audit and advisory services. He is currently a Director on the Board of Ember Resources Inc. and Insignia Energy Ltd. and has previously held directorships on numerous public and private company Boards. Dean holds a Bachelor of Science degree from the University of Alberta.